BMFL™ - Wash is the ultimate fresnel based 1.700 W lamp based wash light with large 200 mm diameter front fresnel lens for high quality traditional wash output ranging from punchy tight 4.5° to smooth 55°. Custom interchangeable frost filters with three grades (light, medium and heavy) for extremely gentle soft touch. CMY + CTO colour mixing filters for the unprecedented BMFL quality of colour transitions and two color wheels with 6 colours each, one with custom replaceable ″SLOT&LOCK“ positions. 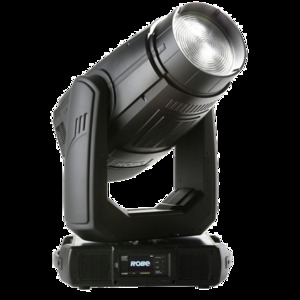 Advanced DMX controllable edge aberration correction for smoother hues and seamless coverage. The Optional XF module expands the features of the BMFL™ Wash with innovative internal Scrim having a graduated filter, which can be inserted to the light path and allowing rotation of the whole assembly +/- 180° to achieve even wash coverage when projecting onto a non-perpendicular surface and internal motorised barndoors for creating different unique shapes and chases which also simulate barndoor effects. The barndoor module consists of four individually controllable blades and is rotatable by +/- 90°.